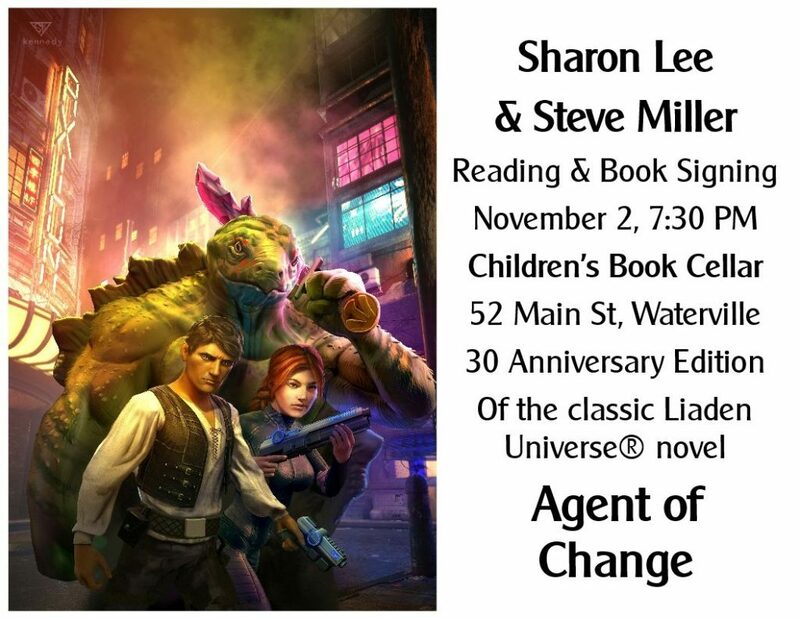 Alas, as i was reading your site last evening I discovered the signed copies offer regarding Agent of Change. However no link or email address was to be seen. I note that I am occasionally remarkably able to overlook the obvious, among the many distractions such as assurring I have the mandatory 3 outdoor outlet pairs I require immediately (of the one functioning pairs installed out of the 4 pair present) and my discovering that a certain medical clinic feels that accepting me as a patient does not require actual appointments and scheduling for me to travel the 1600 miles from home to their office. I sicked the insurance company whose rules they and I must obey. Hopefully that will get proper response.